Hi, My name is Sudhanshu Rana, and I am a traveler. I love to travel places, places which are mostly untouched on the map of mass tourism. I had this thirst for travelling since my childhood when I had to visit my village which is situated on the bank of the river Alaknanda and in the hills of Greater Himalayas. There I used to trek hills, swim on the banks, in the shallow most parts, of the mighty Alaknanda river. So adventure trips aren’t a knew stuff for me, they were imbibed in me by the environment I grew in. Since then I have visited myriad places in search of the peace of mind. What I never did till now was documenting my travel experience. This is the first time I am documenting my travel story. 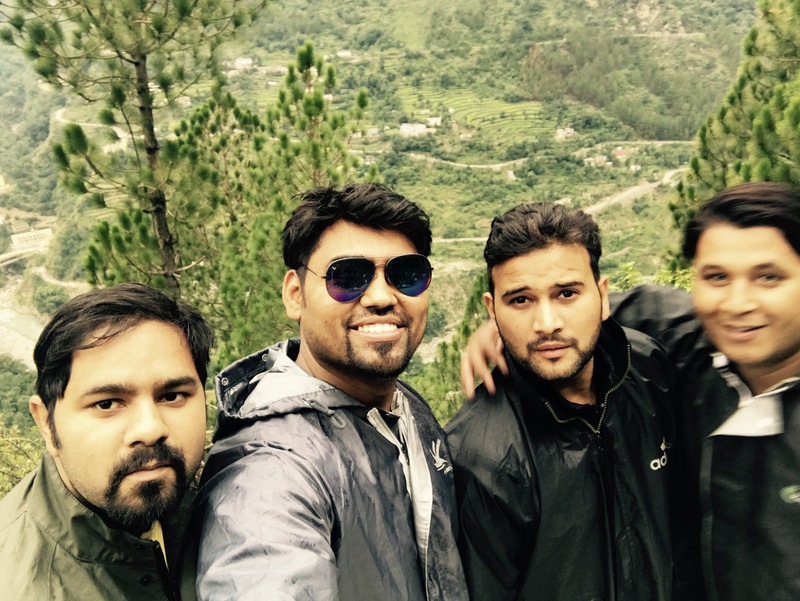 Recently I did Deoriatal, Chopta, Tungnath, and Chandrashila trek with few of my childhood mates. It was a wowing experience as we did trekking and camping for the first time. My humble suggestion to you folks who want to visit there is to not just go there but camp as well because the early morning view is mind blowing. 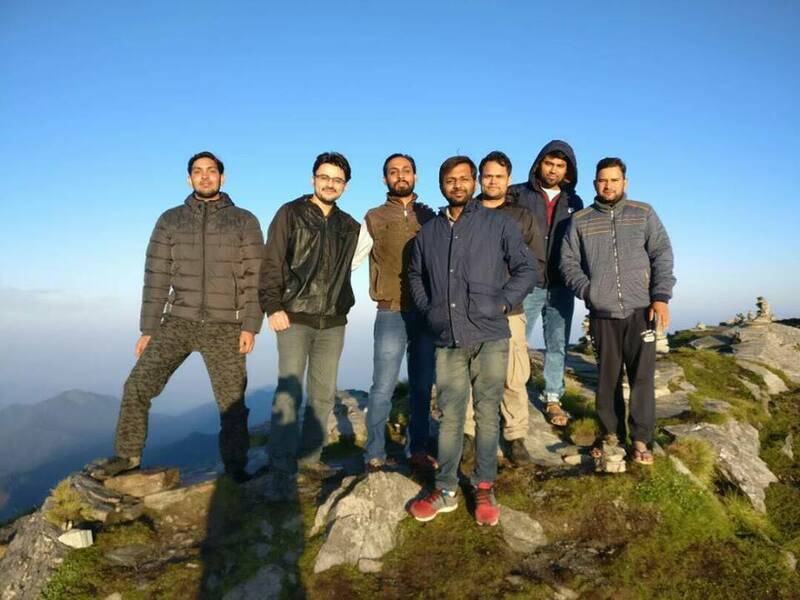 Continuing with my experience, We were total 4 friends who did trekking and camping in Deoriatal, Tungnath, and Chandrashila. This was total 4 days of trek including traveling. Here are the important things to do before you get set for camping and trekking on this amazing Trek route. I am going to tell you my story and simultaneously suggest you on do’s and don’t. 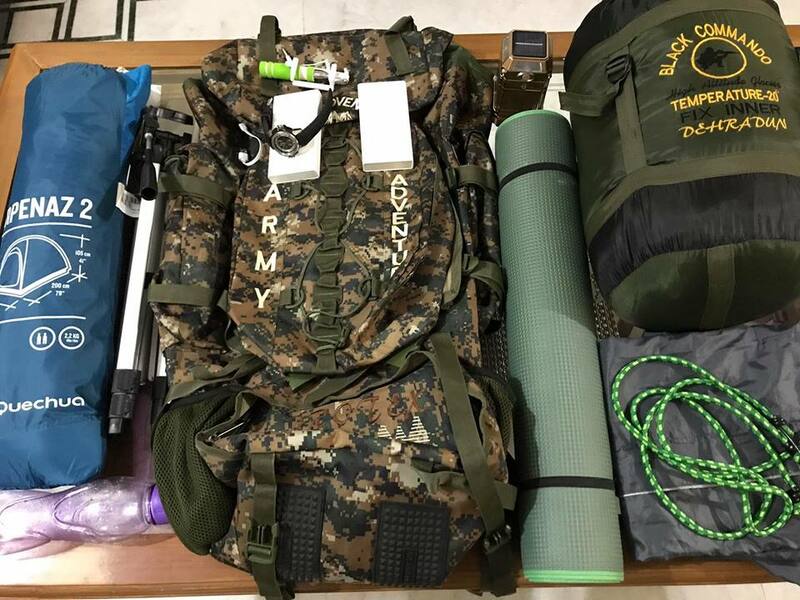 Before camping, it is necessary to make a list of important things, which you will need, for camping and trekking. These things are mentioned below. Packing our bags with stuffs necessary, we focused on the next important things- our bikes. We did our tour on 2 Royal Enfield Bullet. For a hectic ride like this Bullet is the best bike to have in India. You can also opt for any other cruiser bikes. I am not making a case for Bullet or cruiser bikes only, yes you can also take any bike but then you will have to sacrifice your comfort as well as the comfort of your pillion rider. 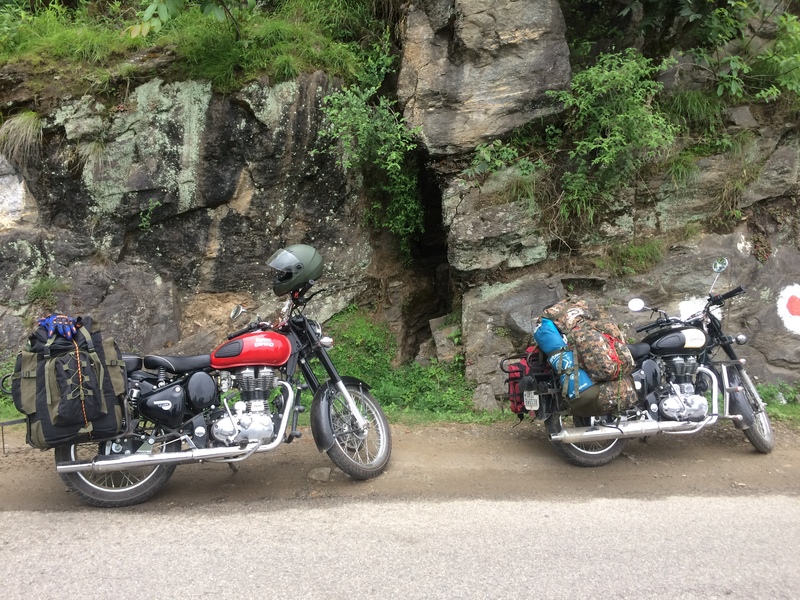 After having chosen the Bullet as our soulmate for the journey, We installed Luggage Carrier on our Bullet which made our journey super comfortable. I suggest you if you want to travel on the bike, do install luggage carrier and your journey will be comfortable, as carrying backpacks on your back will not only reduce the space for pillion rider but will cause great inconvenience too. We left Dehradun, capital city of Uttarakhand, on Wednesday morning 8 am. Our route was Rishikesh>Byasi >Deoprayag>Kirtinagar>Shrinagar>Rudraprayag. From Rudraprayag, there are two ways in which you can reach Deoriatal. First one is via Gopeshwar/Badrinath Marg(route) and another is via Ukhimath/Kedarnath Marg (route) and the stoppage point for both the route is at the Sari or Saari village. Saari means terrace farms in local garhwali language. If you are going for Deoriatal, it is recommended that you go via Ukhimath. Roads are in good condition and it is the shortest route to reach there. In case, you have pre-knowledge of road blockage on Ukhimath route, you can opt for the Gopeshwar route from Rudraprayag, but it will take 1.5 to 2 hours long to reach there. During the journey we were welcomed by the picturesque landscapes of the heaven called Uttarakhand. Greenery adorning mountains all around with the mighty Alaknanda greeting us with her roaring thunder. Riding on hills is best done if you take breaks after a while, so keep taking little breaks from the ride and savor the beauty all around you. It calms you so much. Nearly 6 hours after we started our journey from Dehradun, we were at Rudraprayag. We had a tea break there and after that we moved on to the Ukhimath route bidding adieu to Maa Alaknada and welcoming the mighty Mandakini river. We crossed Tilwara, Agastyamuni, Bheeri and reached Ukhimath in next 2 hours. From Ukhimath, we left the Kedarnath route and went on to the route which connects Ukhimath with Gopeshwar. The road gets narrower from there with trees hiding the steep slopes of the mountain. Road traffic is not so much but still we drove carefully and thus after a long and tiring journey of 10 hours we reached our first destination Sari village. Our first destination was Deoria Tal which has an Altitude of about 2,438 Meters or 7,435 Feet. Deoria Tal is located at a trekking distance of about 2km from the Sari Village, Sari village is 12km far from the Ukhimath . We reached there at 6 pm, after taking little rest we started our trek at 7 pm. It was quite tough to climb up with our heavy backpacks as Trek was the paved path and steep at some places. However many rest shelters are there to restore your breath and energy, which is a good thing. Normally it takes 60 to 90 minutes for a fit person to reach up there but we took 2.5 hours to climb up due to rain and dark night. At 9.30pm we reached Deoria Tal, we all were totally exhausted. One good thing is that shop was open there at that time. We purchased lots of water bottle as there was no facility for the tap water which is kind of strange thing in that village. There was an entry fee of Rs.150 per person and if you have your own tent you have to pay Rs.50 for small tent and Rs.100 if you have a medium tent. If you don’t have the tent then it’s, ok, local fellas will provides tent at the reasonable rate of Rs.500 with sleeping bags. The charges for Camping at Deoria Tal. Anyway, we set up our tent at a good place and prepared our dinner. We got so tired that after dinner we went to an instant sleep. I woke up at 5 am, opened up zip of my tent and the first view in front of my eyes was oh wow… you can take a look at the video below to savor yourself. We spend some time there, prepared breakfast and then leave for Chopta at 10.30 am. Best time to visit Deoria Tal is March to May and September to November. If you are winter lover then you can visit there in December-January. In the months of December and January snow starts falling at night, so if you can handle the chilling weather then you can come and visit there. We did our tour at Monsoon season coz we love greenery. There are three means of transport to reach Deoria Tal. Via Bus: As we already discussed above the road route of Deoria Tal. You can take the bus from anywhere to Ukhimath. Here is the route. Via Air: Nearest Airport is Jolly Grant, Bhaniyawala, Dehradun. After that rest of your journey will be done via road. We visited Deoria Tal in June and the road condition was good but in between of Deoprayag and Srinagar roads are dusty as some construction work is going on. Rest of the roads were in good condition. You can see the road condition in the video below. There are some of the important things which you need to know. Food Facilities – As such there are no famous food facilities available en route Deoria . You will get some local eateries at Sari Village and 3, 4 eateries at Deoria Tal. Petrol Pump – There is no Petrol Pump at Sari Village, you will get Petrol Pump only at Kund which is 7-8km before Ukhimath. So have your tank filled at the earliest opportunity you get. Network Coverage – At Deoria Tal there is no network available for Airtel and Vodaphone but BSNL and Idea have very low signal instead. ATM Availability – There is no ATM available at Sari Village, you will get ATM only at Ukhimath. Final Words about Deoria Tal – We had a great experience at Deoria Tal with our tent and food. We prepared food by our self, which is a quite different experience. At early morning the view of Chaukhamba Mountain was really memorizing. So guys go and visit that place its worth while. We came down from Deoria Tal at 12 PM, we took some rest and had tea at Dhaba, after that we left for Chopta and Tungnath on our bikes. We Reached Chopta at 3 PM as we did lots of photography in between route, that consumed a lot of time. Chopta is a still unexplored hill station of Uttarakhand, located at an elevation of 2,680 meters (8,790 ft) from the sea level. It is famous for its lush green grass covered mountains called Bugyaal (meadow). It is also accessible from the road connecting Gopeshwar/Gauchar Marg. Chopta is the base of trekking to Tungnath (which is the third temple of panch kedar) lies 3.5 km of the trek from Chopta and Chandrashila further 1.5km trek from Tungnath. Chandrashila’s altitude is about 4000 meter (13,420 ft) from the sea level. After reaching Chopta, we did some lunch there. The shopkeepers are there so friendly, they took care of our bikes stands in front of their shops. After having lunch we got ready with our waterproof backpack for the trek. 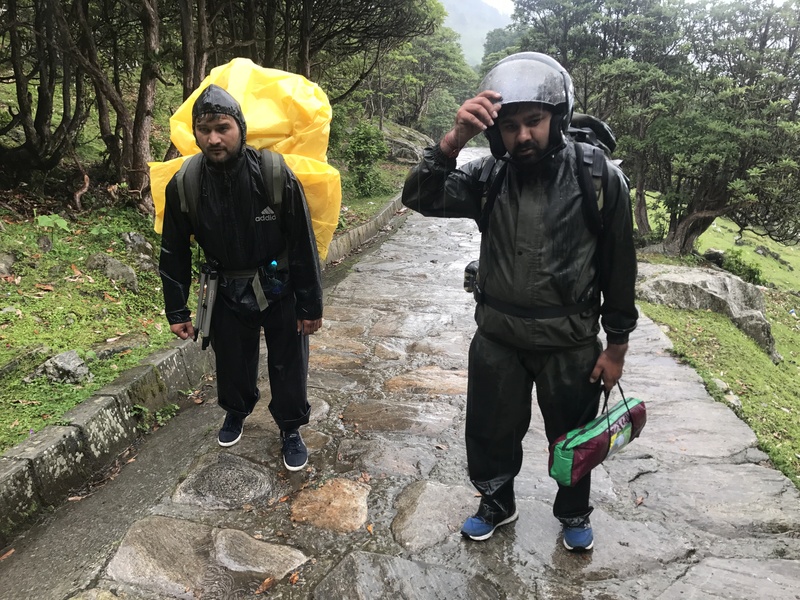 As soon as we started our trek to Tungnath rain started but we all were ready for that. Rain started heavily so we took shelter at the tea shop, which is at in between of the trek to Tungnath. We stayed there for half an hour, had some tea and sat in front of the fire. The shopkeeper was too good and helping. If you don’t have any raincoat you can take raincoat from that place. It’s quite reasonable Rs.40 for each raincoat ( it’s a lightweight plastic made raincoat). As soon as the rain stopped we again started our trek. There you will find lots of rabbits in the meadows, they are muddish in color. 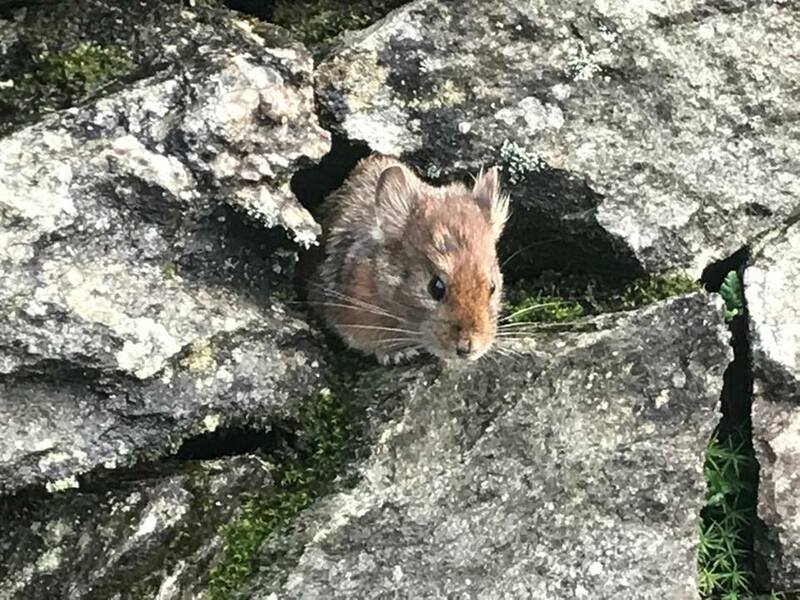 At very first sight we thought it was a rat but later we saw it was a rabbit. You will get various different birds and small animals out there. We were enjoying our trek at full pace, everything was so beautiful, the clouds, the mountains, the meadows everything. You can check this out on below pictures. 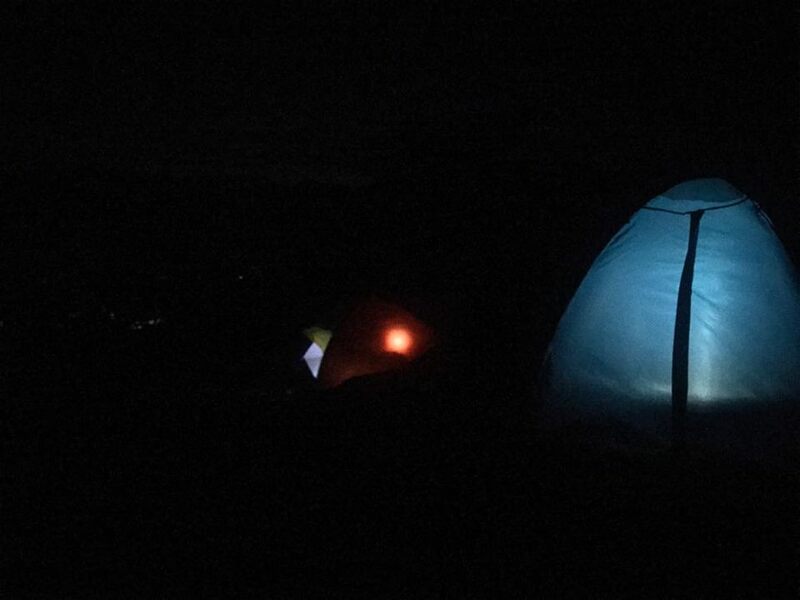 So we reached near Tungnath at 9 pm and we decided to set up the tent. We can’t find some plain ground as it was dark all around. 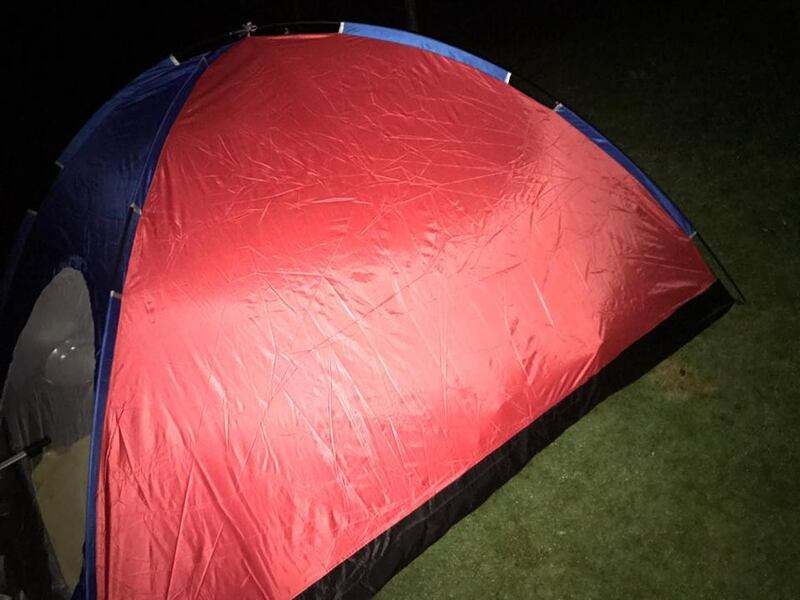 We contacted the local shopkeeper, one old man showed us the plain ground to set up the tent. 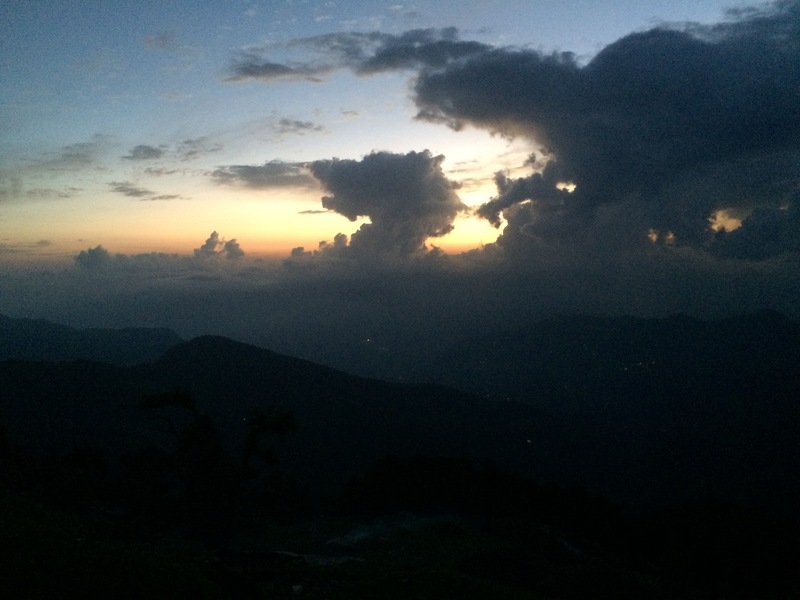 We were just behind 15min of the trek to Tungnath, we set up our tent and start preparing our dinner. After had dinner we saw crystal clear sky has lots of stars, we never saw that much stars in my life, So it was another good experience. After that, we got back in our tent and had some sleep. We woke up early in the morning at 5.15 am to watch the stunning view of the Himalayan range and yes the view we saw was so great, I can’t explain it in words. You can see the view in pictures. We had coffee and enjoyed the stunning view at the same time, later on, we were ready for the rest of the trek to Tungnath, which was 15 min ahead. Good thing was that there were plenty of water supplies, unlike Deoria Tal. We stopped at one of the shops near Tungnath temple, put our luggage over there and went for Tungnath temple. There was so much crowd at the temple, we were also waiting for our turn. After visited Tungnath Temple, we pack our backpacks and got ready for the trek to Chandrashila. We have heard that Chandrashila is famous for its Sunrise and Sun set view. 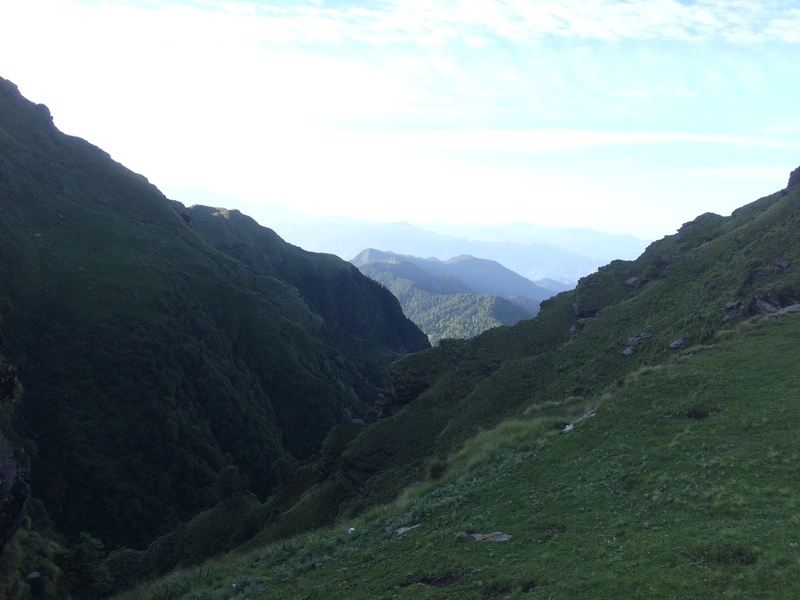 It’s about 1.5km of the trek from Tungnath to Chandrashila. 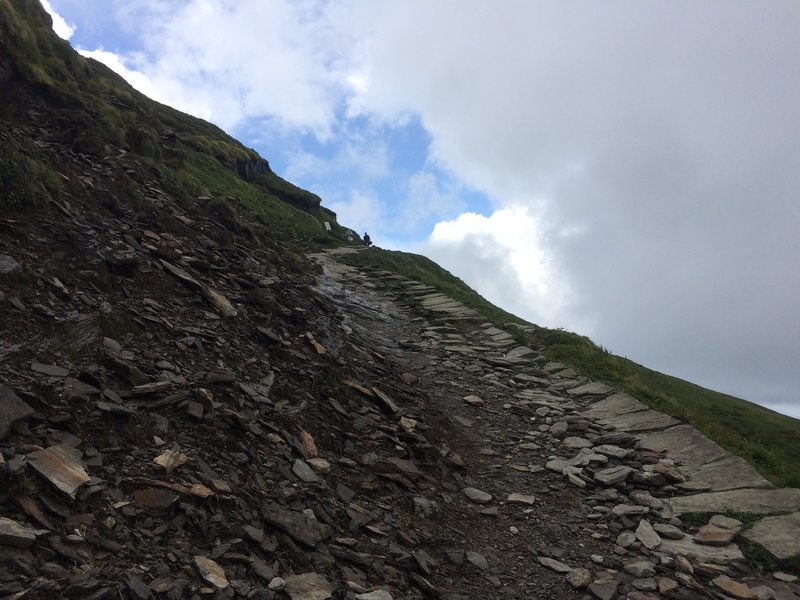 The trek was not cemented track, unlike Tungnath. watch the images below. We reached there at 2 pm and started finding some good and plain ground to set up our tent. Finally, we got a good place just 200 meters below the peak of Chandrashila, we did set up our tent and started preparation for the food. We didn’t get Sunset view as there was cloudy sky so we missed it but still, we got captured many stunning views. We were four people who were staying at Chandrashilla and it was a kind of great feeling. Around 7 pm freezing cold breeze was started blowing. We took dinner and got back to our tent and had some sleep so that we got up early for the Sunrise view. At morning we woke up at 4.45 am and started climbing to the peak of Chandrashila. At 5.05 am sunrises, Oh my god what a view first time ever in my life I saw such a beautiful sunrise. I captured that on my phone you can also see it below. 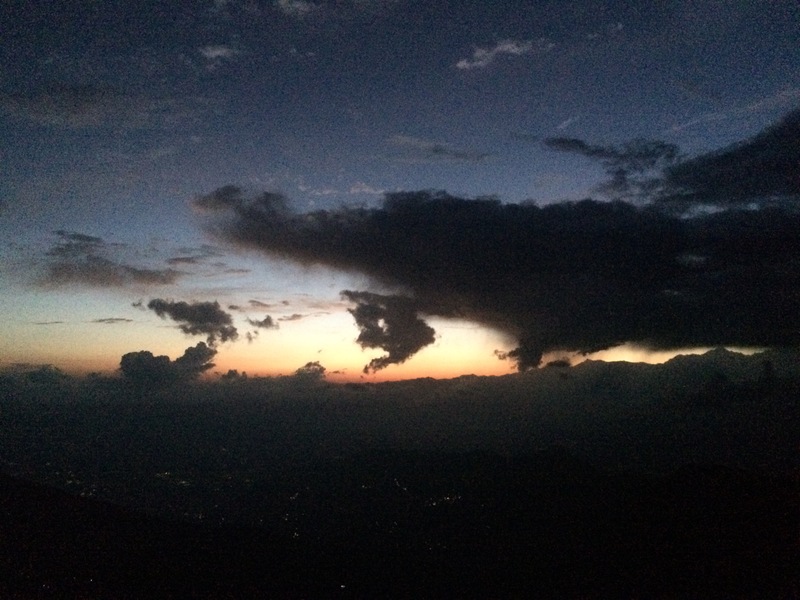 At that time we were total 8 people at the peak of Chandrashila who enjoyed the view of sunrise. After sunrise, we came down at 6 am and started packing as we have to leave for Dehradun. Tungnath – Tungnath temple is located at an altitude of 3680 meters and considered the highest temple of Lord Shiva. It is one of the Panch Kedars named Madhmahesgwar, Tungnath, Rudhranath, Kalpnath and Kedarnath. These are very sacred and famous in Garhwal Himalayan range. 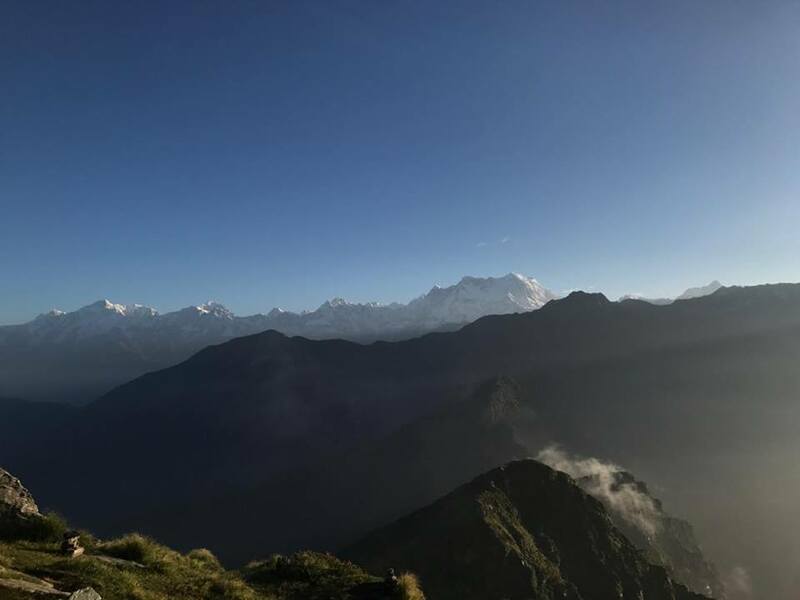 Chandrashila – Chandrashila is the summit of Tungnath, It means “Moon rock” it is said that on Purnima ( full Moon day) The rocks at Chandrashila peaks are glowing. 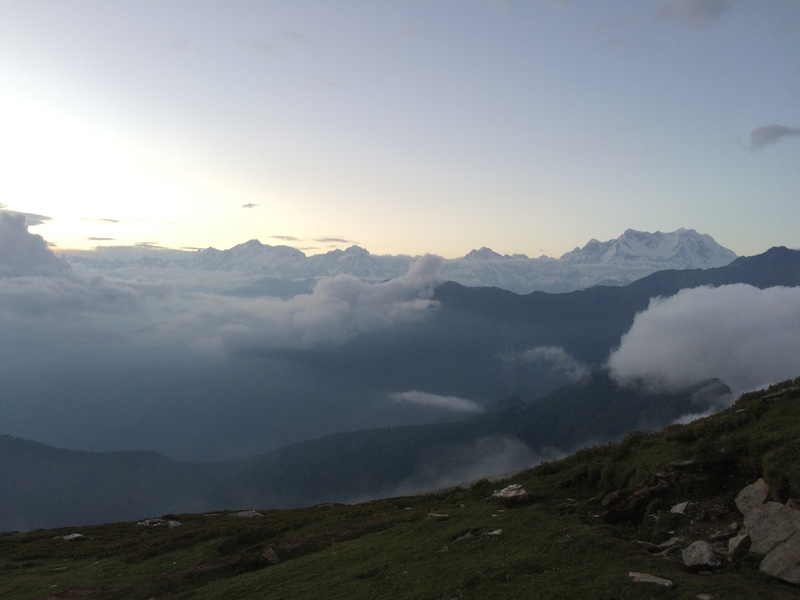 The beauty of Chandrashila is incredible, you can get the panoramic view of Himalayan range. It is also famous for its sunrise and sunset view. This trek is rated easy to moderate. Tungnath is located at an altitude of 3,680 meters (12,073 ft) and Chandrashilla is at 4,090 meters ( 13,420 ft) from the sea level. Best time to visit Tungnath is April to November. You can visit Tungnath in monsoon also if you love rain and lush green mountains but there is the danger of landslides on the roads, so you have to be extra cautious. You can get a different experience in different seasons, In winters you can trek in the snow, if you love to see snow or trek in snow then you should come in between December to March. The ideal time for snow trek would be in mid of Jan and March but for this, you have to trek more than 6 to 7 km as the roads are inaccessible due to snow. If you are planning for Chandrashila trek you have to be more cautious as there would be no drinking water supply and air gets thin over there. In winters trek to Chandrashila will be quite tough and risky as roads are not cemented pavement like in Tungnath. The amount of snow will be huge which is not fit for an inexperienced trekker. 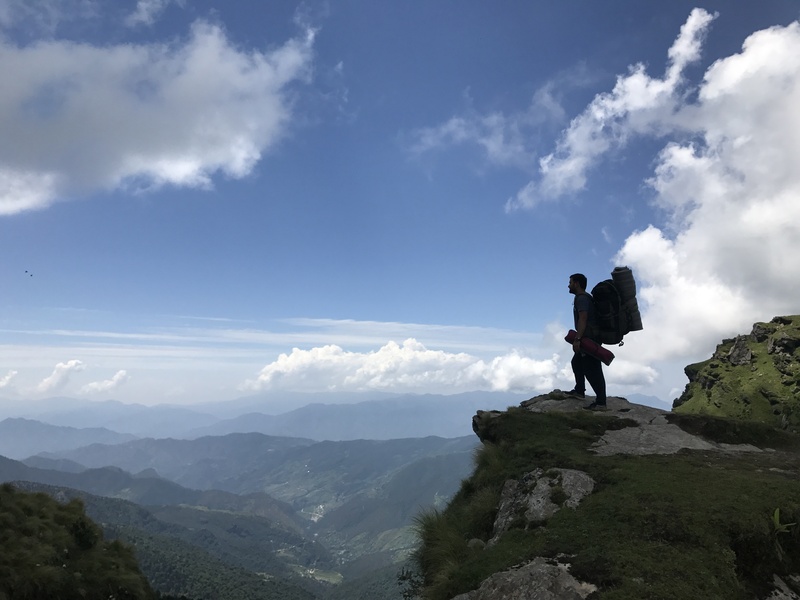 You will not get any place for the stay in Tungnath and Chopta, you have to come back to Ukhimath or Sari Village for the overnight stay before the sun goes down. 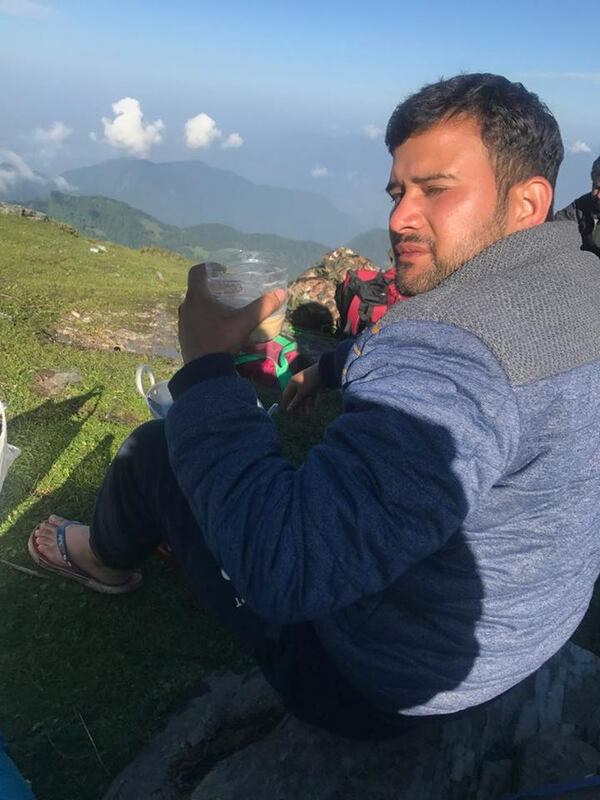 How to Reach Tungnath / Chandrashilla? You can reach Tungnath via the same route which you followed for Deoria Tal. But if you are coming from Ukhimath you have to go straight to Chopta. The whole route is same till Chopta from there you have trek 3.5km to Tungnath and further 1.5km to Chandrashilla. We visited Chopta, Tungnath, and Chandrashila in Monsoon and roads are still in good Condition. You can go there in any vehicle, whether you are planning to visit on the bike or any four wheeler, roads are in good shape. Food availability – Yes you can get food at Chopta and Tungnath, As there are so many Dhaba in Chopta and In Tungnath you can get hotels at reasonable prices. There will be no food and water facility available at Chandrashila. 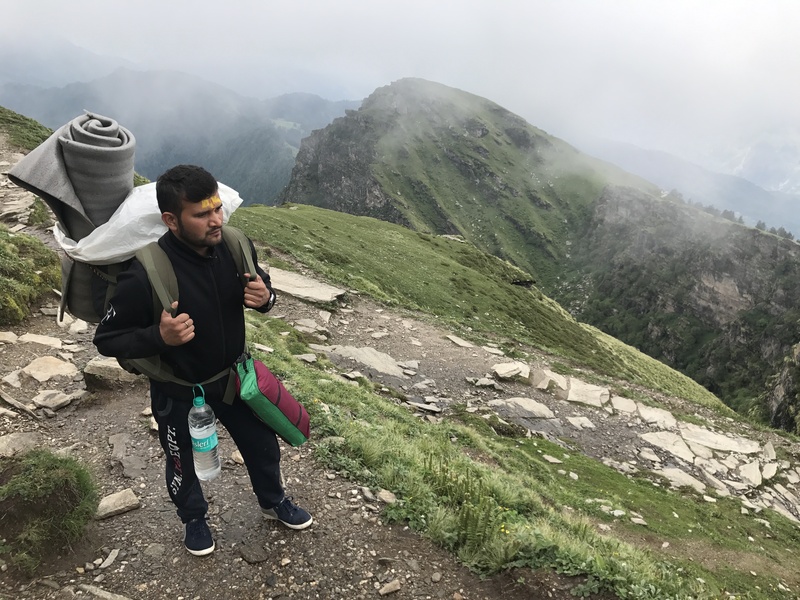 Network Coverage – There is weak network signal of Airtel and other service providers till Chopta but only BSNL get some weak network Till Tungnath. At Chandrashila there is no Network coverage of any service providers. Petrol Pumps – There is no petrol pump near Chopta, you will get petrol pump only at Kund near Ukhimath or in Gopeshwar. ATM Availability – There will be no ATM available near Chopta, you can get ATM at Ukhimath or in Gopeshwar only. 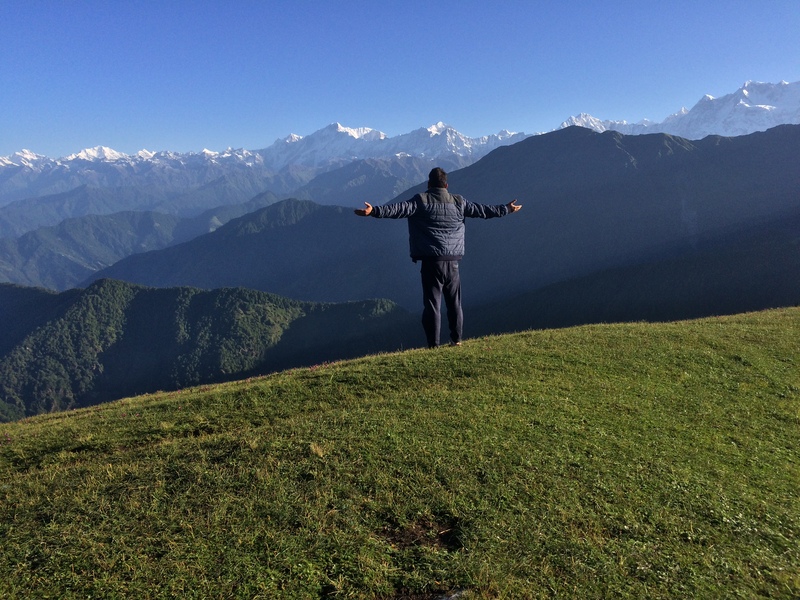 After packing we started our trek, climbing down to Chopta at 8 AM and reached there at 10 AM. From there we loaded our luggage on bikes and started our journey to Dehradun. Here is the pic of my three friends who did treking with me. Hey if you need something to ask, feel free to ask your questions below via comments. I will happily reply as soon as possible Thanks. Stay tuned for more.